I will turn The Grand Newsstand into a pop-up gallery. I will debut my new painting series "Art City" and other works, postcards, stickers, and my tee shirt line. I will squeeze as much art goodness into the stand as I can. This is what I will be raffling off at The Cartoon Art Museum. Check the previous post for details on this event. 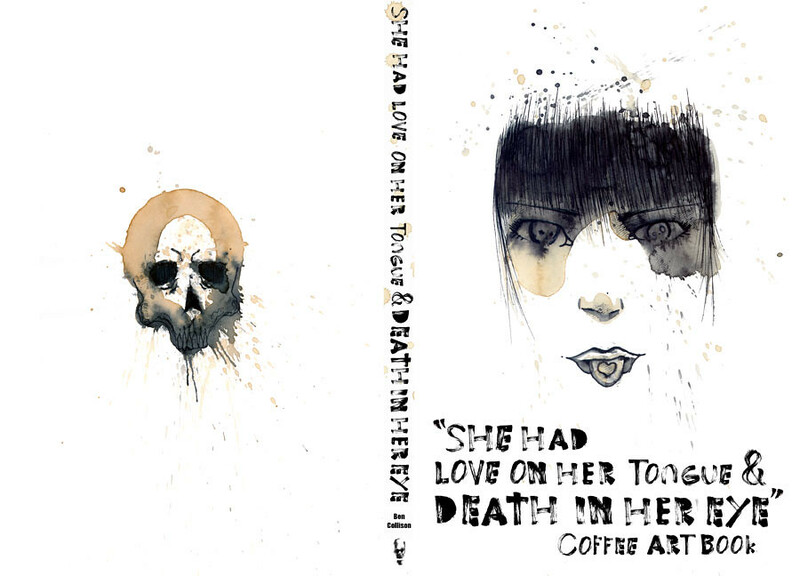 I have launched my kickstarter to self publish my coffee art book. It's the perfect coffee table book for you coffee table. Please click the link to find out about the project and one of a kind rewards I am providing my backers. 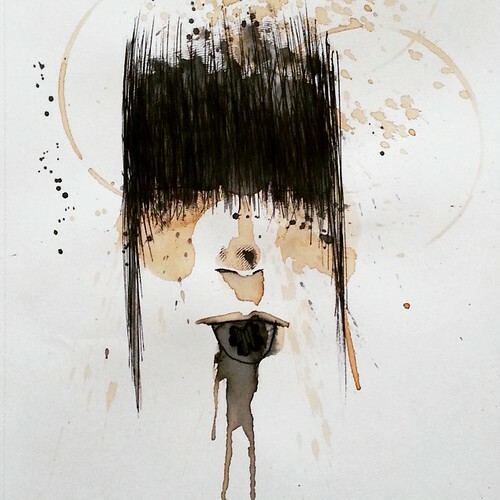 If you like coffee and you like art check out my awesome project! Next week I will launch a kickstarter to self publish a coffee art book. Think of it as the perfect coffee art book for you coffee table! I will also be a Cartoonist in Residency at the Cartoon Art Museum, September 3rd. 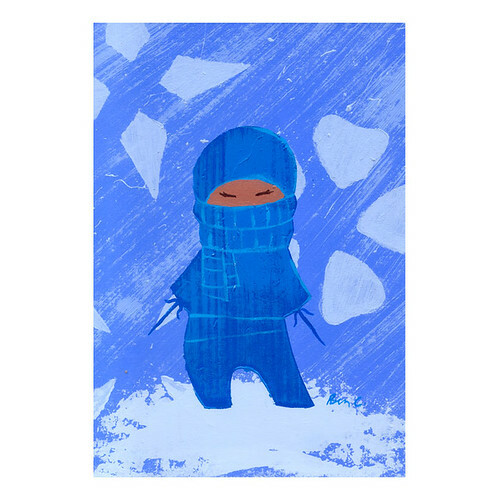 "Winter Ninja" acrylic painting 5x7 inches white frame. Stay warm this winter enjoying this deadly cute ninja! $70 including shipping and handling. 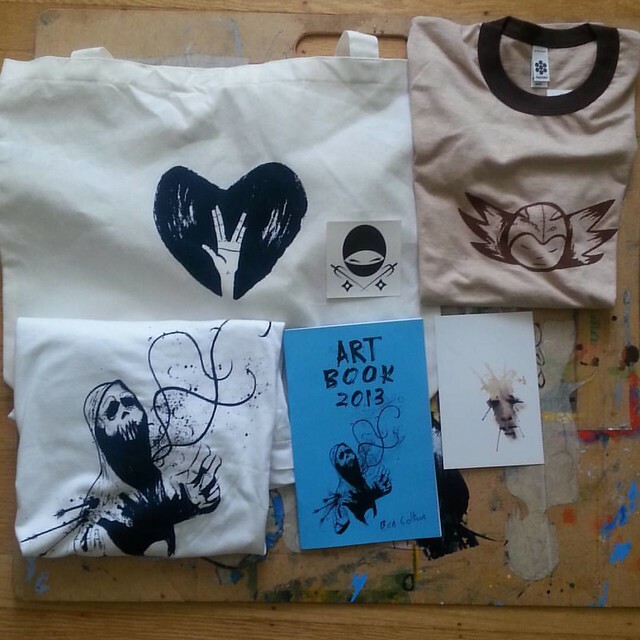 I will be selling books, coffee art, paintings, t-shirts, postcards, stickers, good vibes, posters, hi-fives.